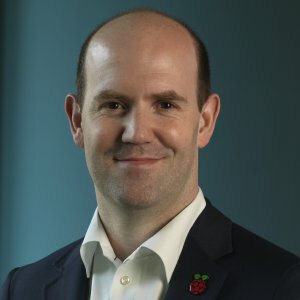 Dr Eben Upton CBE is a founder of the Raspberry Pi Foundation, serves as the CEO of Raspberry Pi (Trading) Ltd, its trading arm. In an earlier life, he founded two successful mobile games and middleware companies, Ideaworks 3d and Podfun, held the post of Director of Studies for Computer Science at St John’s College, Cambridge. He holds a BA in Physics and Engineering, a PhD in Computer Science, and an MBA, from the University of Cambridge.